Home » News » Alvaro C. Sanchez Joins Burandt, Adamski & Feichthaler, P.L. Alvaro C. Sanchez Joins Burandt, Adamski & Feichthaler, P.L. Burandt, Adamski & Feichthaler, P.L. is pleased to announce the addition of attorney Alvaro C. Sanchez to the firm. 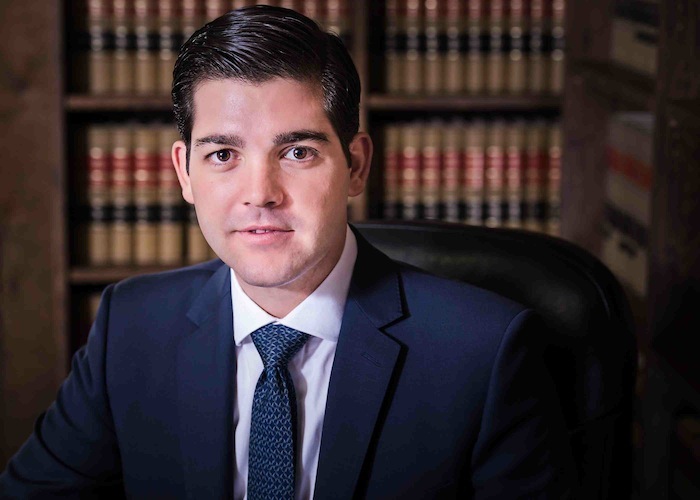 Sanchez attended law school at Ave Maria School of Law, obtaining his Juris Doctorate in May 2013. Shortly after passing the Florida Bar in September of 2013, he joined the firm as an attorney. Sanchez specializes in civil litigation and real estate and probate litigation. Prior to attending law school, Alvaro C. Sanchez earned his Bachelor of Arts degree in International Business at Rollins College in 2008. During his undergraduate studies, Sanchez worked as a Real Estate Agent and Intern with a real estate firm in Orlando. Prior to joining the firm, Sanchez worked as a law clerk at three different law firms in Florida. Alvaro Sanchez also has a rich background in sales and business development. He first became interested in the law profession while working as a Project Assistant for El Laurel Corporation. In this position, he assisted the CEO in preparing oceanfront vacant land for development, which included legal work, operating budget, sale negotiations, and office management. Since 2009, Sanchez also worked as a Sales Associate and Business Developer for NatureCity, LLC, a natural supplement company based in Boca Raton, where he was responsible for sales, account management, and managing a sales team of 12 associates. In addition to his professional experience, Alvaro C. Sanchez is also very active in the community. He is a member of Young Professionals of Naples, the Hispanic Chamber of Commerce, and the Cape Coral Chamber of Commerce. He also volunteers his time with Special Olympics and Habitat for Humanity. About Burandt, Adamski & Feichthaler, P.L. Burandt, Adamski & Feichthaler P.L., offers a broad range of quality legal advice and services, including family and marriage law, foreclosure defense, probate, trusts, wills and estates, real estate, business, litigation and mediation. Robert B. Burandt is a former police officer whose focus is litigation and law for clients such as the Fraternal Order of Police, the Police Benevolent Association, Inc., Avatar Properties, Inc., various shopping centers, and various homeowners’ associations. Burandt practices both in state and federal court. Robert Adamski is a member of the elder law, trust and estate law, real estate law, and tax law sections of the Florida Bar. He is a frequent speaker at estate planning and elder law seminars, and serves as president of the Cape Coral Municipal Charter School Foundation. Adamski is the author of the book, “INHERITANCE HIJACKERS: Who Wants to Steal Your Inheritance and How to Protect It,” which is available at www.protectyourestate.net. Feichthaler is the former Mayor of Cape Coral, Florida. He graduated from Georgetown Law School and has a master’s degree in tax law from New York University. His practice areas are tax planning, preparation of returns, tax disputes, real estate, wills, trusts, estates, probate and mediation. Richard Ricciardi has a Juris Doctor from Barry University and focuses his practice in the areas of civil litigation, foreclosure defense and consumer rights. Burandt, Adamski & Feichthaler, P.L., is located at 1714 Cape Coral Parkway East in Cape Coral, Florida. For more information, call (239) 542-4733 or visit online at www.capecoralattorney.com.